Success starts at home! Decrease any stress or anxiety prior to your arrival for the most positive outcome. Bring your pet hungry! This will make them appreciate our treats more and make the visit a positive experience. Use Adaptil spray on a bandana around your pet’s neck (1 hour prior to leaving the house) or use an Adaptil collar. Go for a long walk prior to your appointment to ensure they are more calm and relaxed. Desensitization is key! Make sure your pet is comfortable in the car, their carrier, or a muzzle if one is needed. Thunder shirts may help to calm your pet. *Ask about the option of Victory Visits (taylored fun visits)! Adaptil is clinically proven to help dogs deal with stressful situations. Adaptil helps calm and reassure dogs by mimicking the pheromone emitted from a puppy’s mother. It is available in a spray for short term use, a diffuser for home use, or a collar for constant use. Your dog should be comfortable in his/her carrier or riding in the car prior to any appointments. 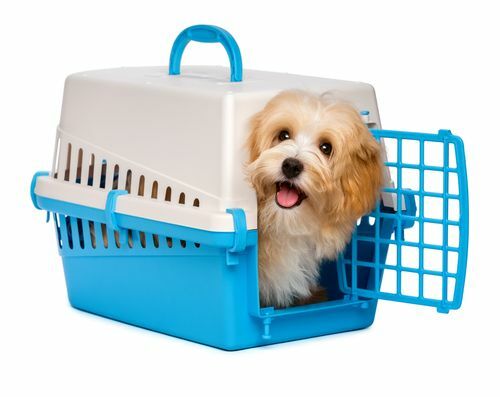 Small dogs should travel in a carrier – it should be a safe place for them. Leave it out all the time, make it cozy with blankets, treats and toys. If your pet is in a carrier, make sure it is stable. The ideal place is on the floor, behind the passenger seat. 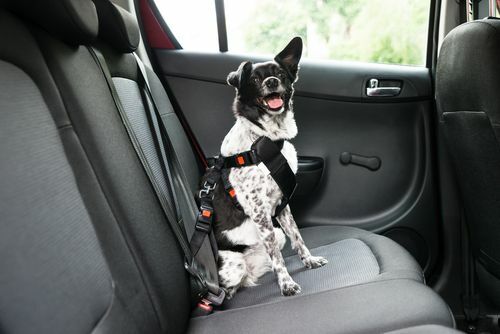 If your pet is not in a carrier, a dogspecific seat belt should be used in the backseat to avoid having the pet move around too much. Play calming music - ideally use classical and a species specific variety (there’s an app!). Start the music 10 minutes prior to leaving the house and continuing playing during the ride. Keep your dog on a short leash. If you do not have one, we will gladly supply one for you! Dogs need personal space so please allow them to have their own space in the waiting room. Your dog will be given a variety of food/treats. If they have any allergies, please let us know. Today may not be the day. Sometimes pets may become fearful and/or stressed and the appointment cannot continue. It is best to reschedule the exam and change the pre-visit protocol to try to have a more successful visit. If we are following all of these tips and your furry friend is still upset or stressed while here, we suggest trying some medications to help them relax and minimize stress. Gabapentin – This is a pain medication that has some sedative effects. This will often make them sleepy. This should be given the night before and the morning of the appointment. Acepromazine – This is a sedative and is best used in combination with other anti-anxiety medications. Your veterinarian will work with you to tailor a medication plan for your dog. 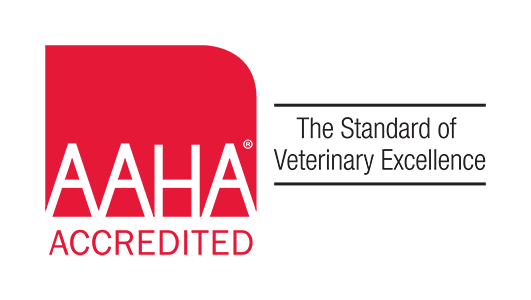 Make sure that you do a trial run with any medication in a stressful place or come to Pittsfield Vet a day before the actual appointment.